Emmanuel M. Nsengiyumva came to Buffalo, NY in 2010 from a Congolese refugee camp in Rwanda. He is currently a doctoral degree candidate in the UB Department of Biological and Chemical Engineering, having earned his BS in chemical engineering in May 2016 and his MS in January 2018. 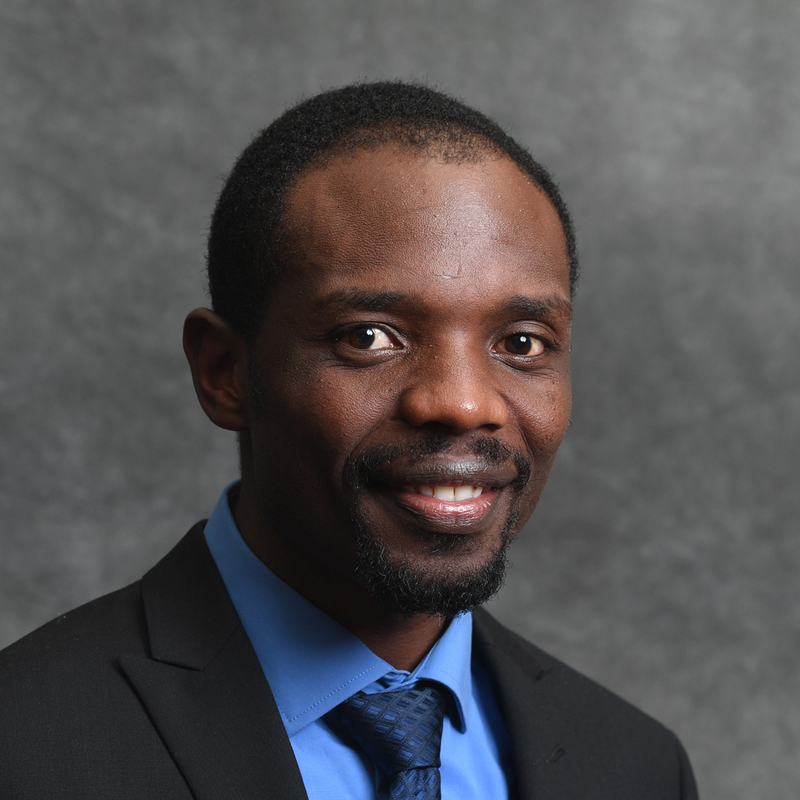 Currently, Emmanuel is conducting research in the UB Laboratory for Interfaces and Self-Assembly, where his work focuses on water-soluble polymers that are involved in the extraction of unconventional oil and gas. He is interested in polymers that can be utilized in the presence of high salinity water to reduce the use of fresh water, which will prove beneficial to the environment and energy resources. Emmanuel is a member of the American Chemical Society, American Institute of Chemical Engineers, Water Environment Federation, and National Society of Black Engineers. He is interested in protecting the Western New York environment, with a strong focus on water quality. On campus, he is involved in the New York Water Environment Association, Student Support Services, Louis Stokes Alliance for Minority Participation, and the Collegiate Science and Technology Entry Program (CSTEP). When he is off campus, he enjoys spending time with his beautiful infant daughter, wife, relatives, and friends; and volunteering at church on Sundays. Emmanuel’s future plans include completing his PhD in chemical engineering and starting his own company that focuses on designing and manufacturing formulated products in the Western New York area. He has great interest in bringing STEM to young students in the local community, particularly those who are underrepresented; and speaks to students in public schools about STEM and requirements for entry into STEM careers.